This week’s A Room with a View is really more of an Area with a View, in two parts. After scoping out the Lohrmann House at 16th and White River that Sharon Butsch Freeland highlighted in a recent HI Mailbag article, I turned north and drove up a stretch of Lafayette Road I had never before traveled and came across the Municipal Gardens Family Center. Wanting to check out more of the Gardens, I tuned up Cold Springs Road to turn around and found myself even more intrigued by a random stone gate and a boulder, set on a pedestal, up away from the road. But more on what’s in the woods next week. 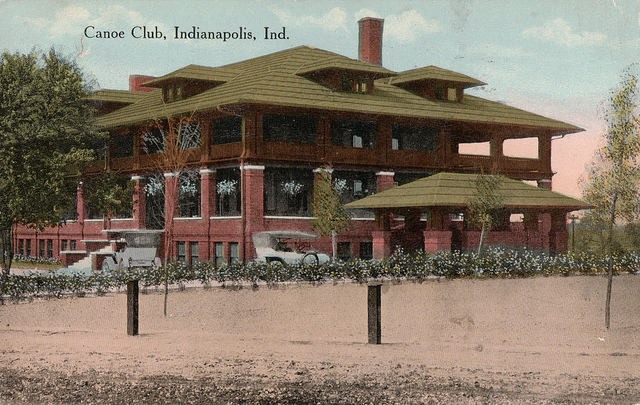 The Municipal Gardens is set upon what was once the location of the Indianapolis Canoe Club, a private country club catering to the city’s elite, specifically a playground for Carl Fisher and Indianapolis’ burgeoning automobile production bigwigs. After burning down in 1916, the Canoe Club rebuilt a nearly identical building the following year but only remained there for three more years. 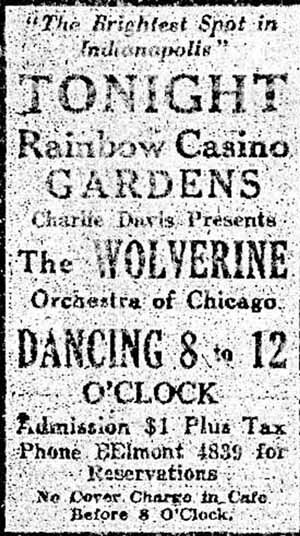 In 1920, the Canoe Club sold their property and it was revamped as the Casino Gardens Jazz Club, featurting cornet player Bix Beiderbecke and his band the Wolverine and local hero Hoagy Carmichael. However, Bix and Hoagy’s time at the Casino Gardens was short and crowds were dwindling by the mid 1920’s. The city purchased it in 1927 and it was renamed the Municipal Gardens. Though it still functioned as a dance and music hall, it’s main focus was more and more on recreational sports. 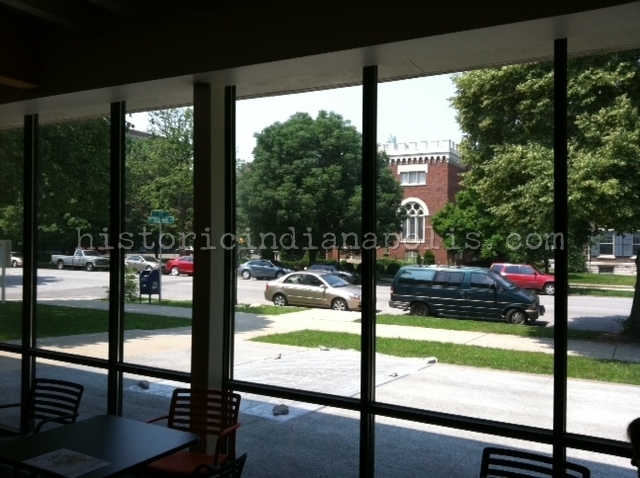 Throughout the years, the Municipal Gardens has housed several Amateur Athletic Union (AAU) champion basketball teams and helped develop former Indiana University standout Eric Gorden and former IUPUI great and current Indiana Pacer George Hill. 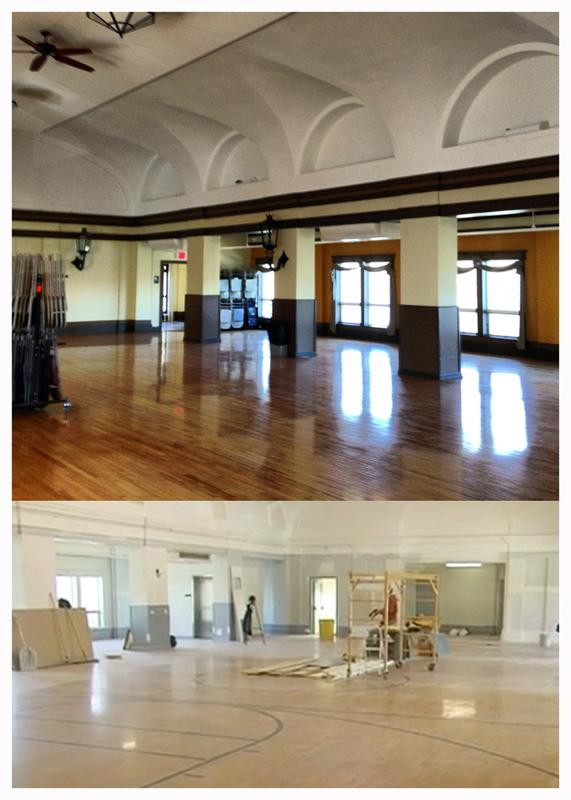 Eli Lilly helped fund the construction of a new gym on the north side of the facility and the former dance hall turned gym became dance hall once again, restored and refurbished into a multipurpose gathering and rental space. Ryan Hamlett turned a teenage fascination with exploring "haunted places" into a love of Urban Exploration. A.K.A: sneaking into and photographing abandoned buildings, armed with a camera and flashlight. 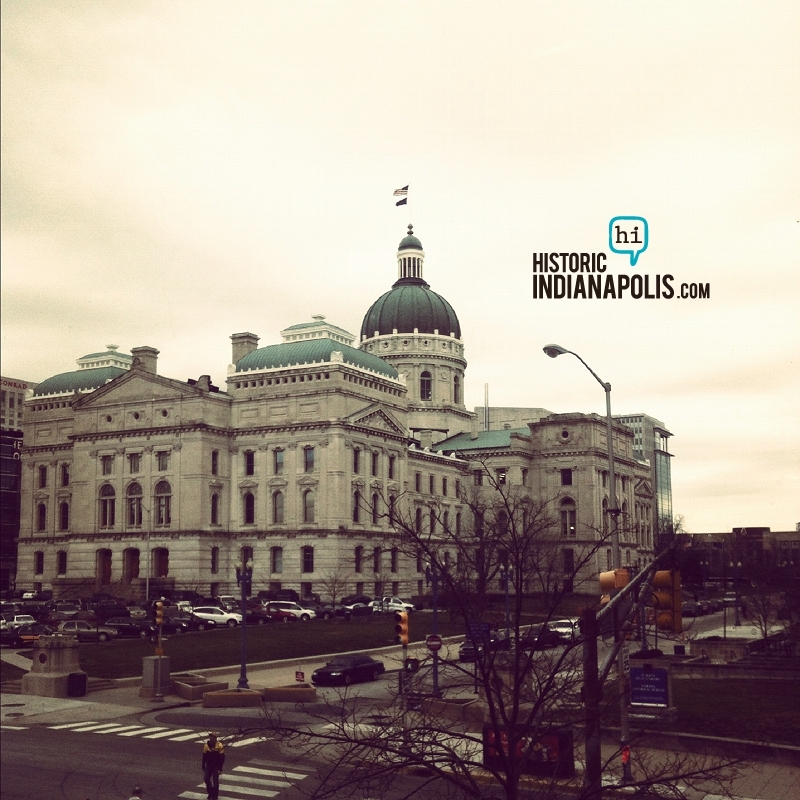 He has a Fine Art degree from Indiana University, a Masters in Historic Preservation from Ball State, and currently works with the State of Indiana to advocate for the adaptive reuse of Indiana's historic buildings into affordable housing. All I can say is thumbs up. It looks like a beautiful space. Thanks! Make sure to come back next week as well. 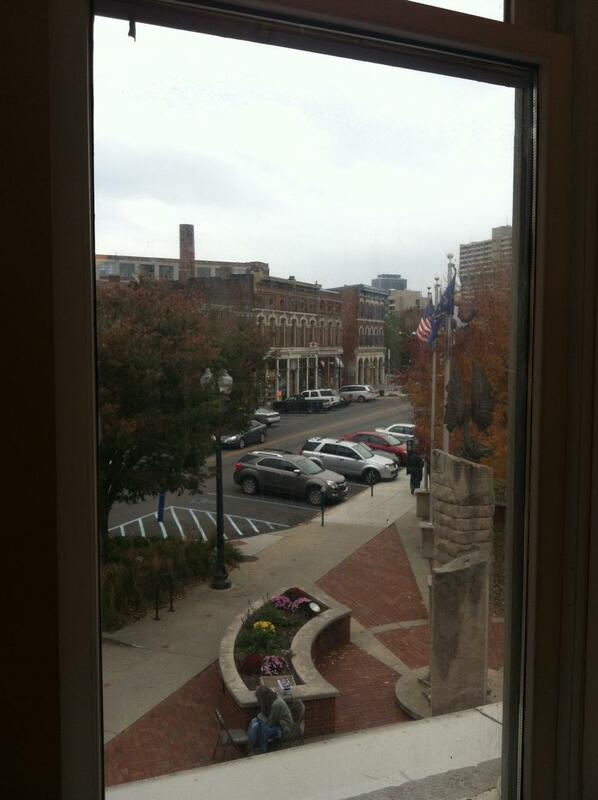 Been to events at the Municipal Gardens before…a good time. 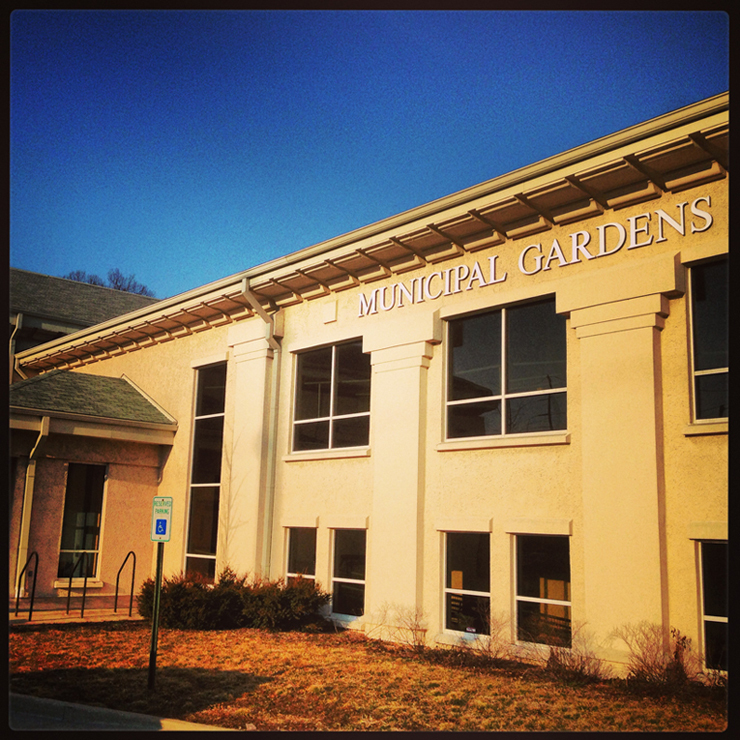 I liked the architectural styling of Municipal Gardens since I was “little”…the architecture on up Colds Springs Road gets better and better, including the area above Lake Sullivan and the lower end of Crooked Creek. I remember J I Holcomb’s estate house at the north end of Cold Springs Road as well. Even the styling of the former VA hospital there. Can’t wait for next week! Thank you Sir! And I’m definitely interested in the VA hospital up the street. And I think we’ll be visiting Golden Hill soon as well. I grew up on Kessler not too far from the Municipal Gardens and just moved back to Indy from Maine last summer. My husband and I went up the path into the woods/trees (that I’ve never seen anyone use) this past fall and were pretty surprised ourselves. 😉 I can’t wait to see what you write about it next week. Welcome home Courteny! I bet you DO know what’s coming. Years ago I also ventured up the path while on a bike ride. I might have an idea of at least one of the things you’re going to mention and I have a feeling its not in very good shape if it’s even still recognizable. And while I’m not exactly sure of the exact spot, I believe the infamous “Cold Springs Murders” of the late 1860s would have taken place roughly in that same area, but down closer to the river. Many thanks for that tip Tom. Definitely wasn’t aware of that detail and will certainly work it into the piece. Thanks, Ryan. Lots of interesting tidbits in that write-up. Make sure to look into Coffin Golf Course. It used to be the home of Highland Country Club. Pretty sure that the building at 30th and Cold Spring that now houses the Iron Skillet used to be the club house. Lot’s of interesting history on how the city got the course. It has hosted some premier national golf events in it’s past. Sadly, it’s condition over the last 25+ years isn’t “up to par”. Someone needs to put some serious money into this course, raise the green fees, and have a real gem of a course, right downtown! I will definitely do so. I grew up in Irvington and the northeast side and am definitely trying to expand my knowledge of the west and south sides as I do these posts. Thanks for the comment!